The Notre Dame Keough-Naughton Institute’s 2018 interdisciplinary IRISH Seminar will take place in Dublin & Kylemore on 11-29 June 2018. 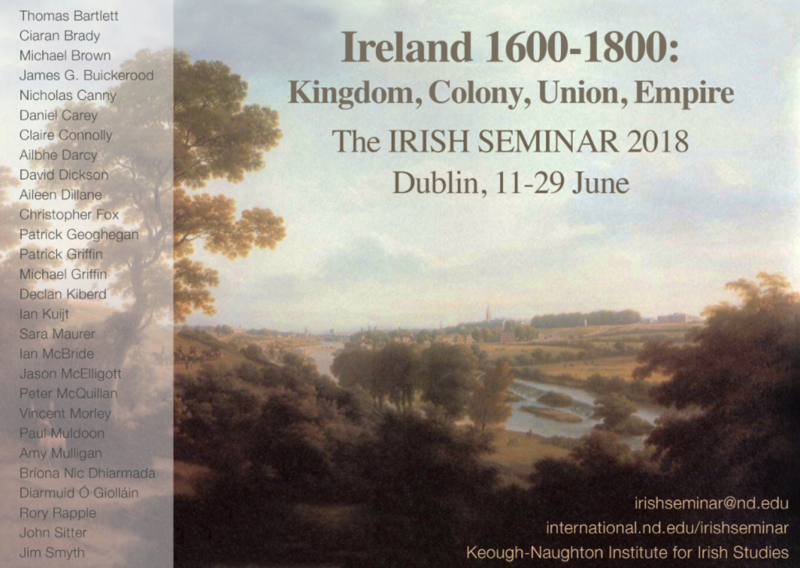 The theme of this year’s seminar is ‘Ireland 1600-1800: Kingdom, Colony, Union, Empire’. Please note that the deadline for applications is 22 February.